Arabic Women in the News: Active Agents or Passive Subjects? Arabic media are far more likely to represent Arab women as active agents than are Western media, according to this new study. 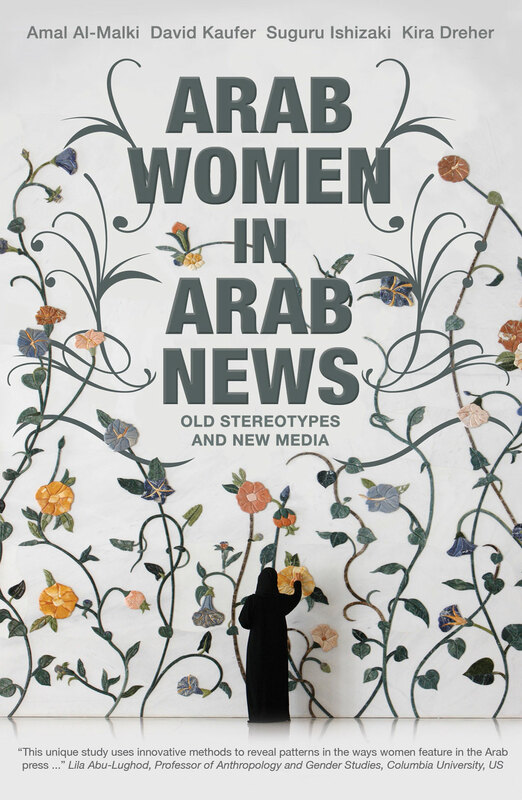 The book Arab Women in Arab News: Old Stereotypes and New Media by Amal Al-Malki, David Kaufer, Suguru Ishizaki and Kira Dreher is not really a book about new media and its uses by Arab women. Rather, it is a book that seeks to undermine stereotypes of Arab women as submissive, using accounts of new media practices as evidence. This book is unique in its efforts to contrast how the Arabic press represents not simply gender but a very specific gendered and politicized categorization of people in contrast to the way the Western media represent the same category of persons. Several studies have shown that Western media tend to portray Arab women as passive, fulfilling a longstanding Orientalist stereotype. The authors of this text set out to discover whether Arab media portrays Arab women in the same way. As the author of a paper on ways US media represents Muslims worldwide, I was very interested in the answer. we contracted with a global news translation service from the Middle East to collect and translate a sample of 22 months of new summaries from 103 Arab media sources belonging to 22 Arab countries. Filtering the summaries that contained one or more female keywords (e.g., woman, mother, aunt, sister, she) yielded 2, 061 summaries between September 2005 and June of 2007. Using the 2,061 summaries as input data, a coding scheme was developed for “active” and “passive” female behaviors based on verb-phrase analysis and conventions of English-language news-reporting. The second half of the book offers a “qualitative” analysis of selected articles from mostly pan-Arabic journals such as Al-Hayat, Al Quds Al Arabi, and Al Sharq Al Awsat. It’s not what I would mean by the term qualitative analysis–there’s no semiotics, no exploration of how representation is constructed through tropes, no analysis of how the stories crystalize the social relations present at the time of their writing. Instead, the authors draw from the news stories to create a series of portraits of individual women in order to provide examples of the range of women’s activities described in Arab media. We meet women struggling to overcome obstacles to forge successful lives and careers, Egyptian bloggers emboldened by new media to write truth to power in the face of government lies (I had to get Egypt in here somewhere! ), as well as women truly oppressed, or passive in the face of overwhelming obstacles. Although these portraits offer some insight into the categorizations elicited by the authors from their analysis–thus fleshing out and illustrating what in the first part are merely code phrases–they come more as efforts to offer examples of how Western journalism could be representing women. In other words, they come off a little bit like counterpropaganda pieces, speaking truth to power, like the aforementioned Egyptian bloggers. This impression is made even stronger by their juxtaposition with Western media representations. This is not a bad thing, necessarily. Certainly it would make the book far more effective in an undergraduate class, for example. First, I had hoped that the qualitative component would analyze more deeply the representational strategies used by Arabic journalists to construct their accounts of Arab women’s activities. This was probably an unreasonable expectation once I realized they were working mostly with English translations. There are, of course, still many people out there who will not regard US media representations of women as stereotypical or Orientalist but as neutral descriptions of a reality “out there”, and it is for these people that this book is clearly intended. Al-Malki, Amal, David Kaufer, Suguru Ishizaki and Kira Dreher. 2012. Arab Women in Arab News: Old Stereotypes and New Media. Bloomsbury Academic. ← How Long, Oh Egyptians, Will This Revolution Go On?